Same Day Garage Door Repair in Stamford! We can repair any overhead door in Connecticut today! Need a garage door repair in Stamford? You garage door is out of tracks and you need a garage door technician who can fix all types of overhead doors in Stamford? Your garage door spring snapped? The garage opener can’t open or close the door? You just find what you are looking for. 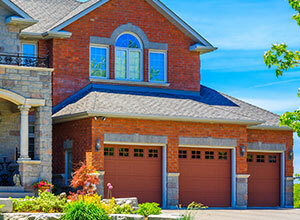 Lifetime Overhead Doors will fix your garage door today. To a professional, who have repaired and installed many garage doors in Stamford, it doesn’t matter if it is a garage door repair in Connecticut, a garage door repairs in Greenwich, or a garage door opener repair in Connecticut, since we can fix all kinds of garage doors in Stamford. When you have the knowledge to repair all kinds of garage doors in Stamford, all you need the tools and the parts to fix the door, and to get it back on tracks again today. Since we are experienced in repairing all kinds of overhead doors in Stamford and in Stamford, we know which parts are required in order to complete the repair today, so we carry with us springs and parts like garage door openers to fix all kinds of garages in Stamford. With our same day garage door repair service in Stamford, we can fix your garage door today, and save from you the long waiting for a garage technician in Stamford that will come and fix the door. 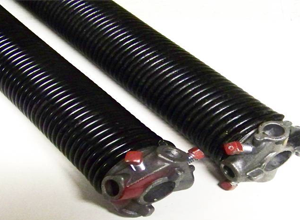 The garage door spring system, whether it is a garage door spring in Fairfield County CT, or a garage door spring repair in Connecticut, Fairfield County Stamford, is the force that help the garage door to work smoothly, and the force that can make even the heaviest overhead doors in Stamford to operate in a smooth and in an easy way. That why we always say: If you own a garage door in Stamford, and the spring snapped, stop using the garage door even of the door is still operable. Many times during our garage door services in Stamford we meet people who ignored the broken spring, and continued to use the garage door, and eventually created a bigger damage, and even burned the opener. 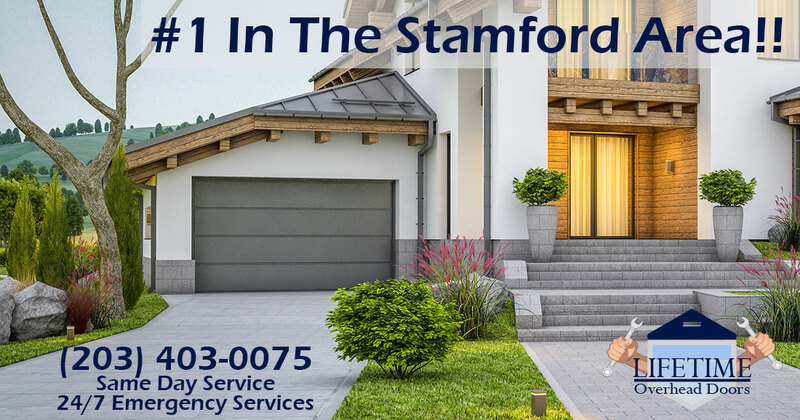 So the best suggestion we can give all our customers in Stamford is: If the spring is broken (Or any other kind of garage door malfunction) stop using the door and contact a garage door company in Stamford that offer same day garage repair in Stamford. 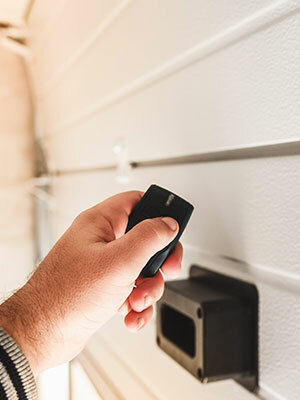 If you live in Connecticut, in Connecticut or anywhere else in Connecticut, and you are using a garage door electric opener to open and close your garage in Stamford, there is something you should be aware of: What really lift your garage door, whether it is a commercial garage door in Greenwich Stamford, or a residential garage door in Port Connecticut CT is not the electric opener, but the spring system. The opener is only doing a small part of the lifting, and the spring system - whether extension spring system (Common in Stamford) or torsion spring system – is what doing most of the lifting. So if you are facing a problem and you need garage door repair in Stamford CT, do not assume that the problem is necessarily with the opener itself (Although it may seem like it) since many times it is really a problem with the garage door mechanism. But there is no need to worry. As one of the leading garage doors companies in Stamford, Lifetime Overhead Doors have the ability to repair any kind of garage door malfunction. 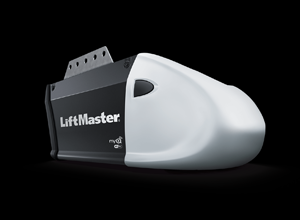 Whether you need a repair for Lift Master opener in Corona Stamford, or a garage door repair in Williamsburg Stamford, we will be there for you. We are professional. So we must give solutions to all overhead garage doors in Stamford, and that include commercial overhead doors. To fix commercial garage door in Stamford, you need to have deep knowledge about the garage doors and the way they operate, since a commercial garage door in Stamford can be dangerous, especially when it is a heavy duty garage door. We carry tools and replacement parts for all garage doors in Stamford. Whether it is a commercial garage door in Greenwich, or a commercial garage door repair in Fairfield County, we can fix it. Our ability to address any garage door issue, and to fix all overhead doors in Stamford, is what make us one of the leading garage doors companies in Stamford. If you own a business, and you need help operating your commercial in Connecticut, call us today for same day garage repair service in Stamford. Are you interested in replacing your old garage door in Stamford? Searching for a garage door installer in Stamford? You just found what you are looking for since Lifetime Overhead Doors specialize in all kinds of garage doors installation and replacement in Stamford. And we have the advantage of both repairing and installing garage doors, so you won’t have to deal with multiple contractors in order to get your garage door in Stamford working safely again. All our garage technicians in Stamford CT have the ability to repair and replace garage doors, since when you are a pro, you should be able to deal with all aspects during servicing garage doors in Stamford. In order to get a high quality garage door, it is not enough to contact a garage door supplier in Stamford, and to purchase a high quality garage door, you will also need a professional garage door installer for the installation. Not all new garage door installations in Stamford are the same, and often the installation require certain knowledge and experience in the garage door industry, to overcome unexpected issues since many garages in Connecticut were built differently. A professional garage installer in Stamford, and it can be a new garage door installer in Connecticut, or garage door installer in Fairfield County, will make sure that the new garage door is working in a perfect way and in a safe way, and that there will be no need to contact a garage door technician in Stamford to come and fix it in the near future. We believe that a good installation will lead to a garage door that will work for many years, and that can easily last for 20 years and more with the right garage door maintenance. A quick online search for garage door supplier in Stamford will reveal many results, and if you will ask, each one will tell you that they offer the best new garage door in Stamford. If you asked yourself: Which is the best garage door company in Stamford, you can easily get lost among the amount of results. 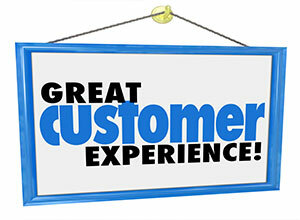 We believe that the best thing is to let the customers speak for us. We have many customers’ reviews and feedbacks that can speak for themselves, and show the amount of appreciation our garage door customers in Stamford have for us. But at the same time, we are here to try and help you make the right decision when deciding which garage door will be the best for you. And the way to a high quality garage door going through a simple answer: Do you prefer to invest a small amount of money and purchase one of the cheapest garage doors in Stamford, which mean that within 5-10 years your door will need a garage door technician in Connecticut to come and fix or even replace it. Or do you prefer to invest some more money, get a high quality garage door, and forget about servicing the garage door (Beside the basic maintenance every garage door in Stamford Require) for the next 20 years or more. Yes, this is the first question you need to answer before deciding that you need a new door. And the funny thing is that the people in Stamford are divided into 2: Those who think that they need a new garage door installation in Stamford, when their door can easily be fixed; And those who say they need a garage door repair in Stamford, when obviously there is no way to fix their door and to make it safe for use. So to answer the question whether to repair or to replace, we need to physically examine the garage door and determine what need to be done. We offer same day garage door service in Stamford, so we can easily repair the door on the spot, or come back the next day with a new door since garage doors in Stamford is what we do. If you would like to learn more about new garage door installation in Stamford, and what is the best garage door to install in Connecticut, you can visit our article about “How to choose a new garage door in Stamford” and to find many tips that will assist you choose the best garage door in Stamford. Since like we always tell our customers in Stamford, a new garage door is something that you do not want to do more than once every 20-30 years and forget about it. But in order to do so, you need to find a professional and reliable garage door company in Stamford. And we would like to think that Lifetime Overhead Doors is the one you will choose to perform your nest garage door project in Stamford. As a professional garage doors company in Stamford, we will never say no to one of our customers who need our help fixing an overhead door in Stamford. And many times our customers need help with their garage door but sometime they need help fixing a different type of door or gate. So we are not limiting ourselves to a certain type of overhead doors, like residential or commercial garage doors, but we can also fix roll up gate like the store front gates that can be found in almost every business in Stamford. So if you are wondering “who fix roll up doors in Connecticut”? Know that you found that person, since garage doors and roll up gates repairs in Stamford is what we do. One of the most annoying things is to try and open the gate to your business in Stamford and to find that the rolling gate is stuck. Or even worst, to try and close it at the end of the business day, and to find that you cannot close it and secure your business, and that you need an emergency roll up gate repair in Stamford. But there is no reason to panic, or to wonder if you are about to spend the whole night inside your business. Lifetime Overhead Doors offer emergency repair service for garage doors and for roll up gates in Stamford, so you know that someone will be there for you today. We can fix 90% of broken garage door and roll up gates in Stamford on the spot. But sometime we face a problem that require a custom made part (Like a custom made spring), which can only be installed the next day, and that no garage door company in Stamford carry with them. In that case, we will help you close the roll up door, secure your business, and return the next day with the missing part. Our connections in the roll up gates and garage doors in Stamford give us the ability to fix your overhead garage door ASAP, and to get the needed part, sometime within an hour. All you need to do is to call us, and one of our professional technicians will be on his way to help. If you own an automated roll up door in Connecticut, and you are visiting our website, you probably experiencing problems operating the door. Whether it is a garage door in Stamford, or a roll up gate in Connecticut, the first thing you should do is to stop using the garage door and contact us for a same day repair service. If you will insist to try and operate the gate although there is something wrong with it, not only that you will probably cause a bigger damage, but you will also put yourself in danger. The best thing to do will be to call a company that fix roll up doors in Connecticut to come, inspect the gate, and fix it for you. Repairing a broken overhead door, whether a garage door in Connecticut or in Stamford is not an easy job, and should be performed by a professional technician, who has the experience the tools and knowledge to fix a broken rolling door in Stamford. If you own a garage door or a rolling gate in Stamford, and you would like to make sure that they will continue to work in a safe way, and that you will not need to contact a company in Stamford to come and fix it every few weeks, and that will be to perform a maintenance. It doesn’t matter if you own a garage door in Stamford form Amarr doors, or a roll up gate, every overhead door in Stamford need to be maintained. The average maintenance shouldn’t take long, and while following the instruction as you can find in this Video that teach how to maintain a garage door (in Stamford or anywhere else) you will ensure that your garage door will continue to work. 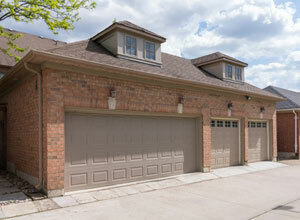 Note: We only recommend to maintain residential garage doors by DIY. 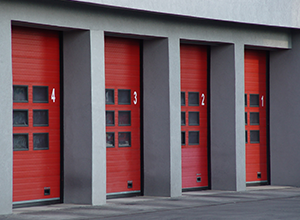 If you own a commercial garage door in Stamford CT, please contact a garage door company that specialize in commercial garage doors in Stamford and in Connecticut. Lifetime Overhead Doors is a garage door company based in Stamford, and service Stamford Connecticut and Fairfield County CT. We believe that there is no reason why you will not get your garage door working again today, and when you are dealing with professional garage door contractors, you get a quick and efficient garage door service in Stamford, and for a reasonable price. Many of our garage door repairs customers in Stamford are surprised when we tell them that we can fix any broken garage door today. But when you have experience in the garage door field, it doesn’t really matter to you if it is a commercial overhead door in Connecticut, a residential garage door repair in Bridgeport, or a roll up gate in Greenwich. On time. Really same day service. And it only took them 10 minutes, and it only cost me 45$ to get my garage door working again. I can recommend their garage door repairs services in Fairfield County Stamford. Great job installing a new garage door in our house. We had an old door, that was starting to break at many spots, and Lifetime Overhead Doors were very honest and patient, and did a great work installing a new garage door for us. I feel confident enough to recommend them to my friends and neighbors.